Add the wet ingredients. Stir until smooth. Bake in two greased, floured pans at 350 degrees for 30 minutes. Makes 2 layers of a two-layer 9-inch or 8-inch round cake, or one small sheet cake. Preheat oven to 350 degrees F. In a large heavy saucepan, combine cocoa powder, butter, oil, and 1 cup milk. Place over medium heat and cook until butter melts and mixture comes to a boil. As soon as the mixture boils, remove it from the heat and beat with a wire whisk. Add flour, sugars, salt, and baking soda. Beat well (batter will be thick at this point). Then add buttermilk, eggs, and 1-1/2 tsp. vanilla and beat again until batter is smooth and shiny. Spray 13×9″ pan with flour based cooking spray. Pour batter (batter will be thin) into prepared pan. Bake at 350 degrees F for 25-35 minutes, until cake has risen and edges begin to pull away from sides of pan. Toothpick inserted in center will come out clean. Let cake cool for 30 minutes. In a heavy saucepan, combine 1/3 cup cocoa with 1/3 cup butter. Place over low heat and cook until butter melts and mixture is smooth, stirring frequently. Remove from heat and add 1/2 cup milk, powdered sugar, and 1 tsp. vanilla and beat until smooth. Immediately pour over cake. Frosting should level itself, but you may need to even it off with a knife. Let cool completely, then cut into squares. This recipe serves 12 people. Heat oven to 350 degrees farenheit. Grease and flour two 9-inch round baking pans. Bake 30 to 35 minutes or until wooden pick inserted in center comes out clean. Cool 10 minutes; remove from pans to wire racks. Cool completely. 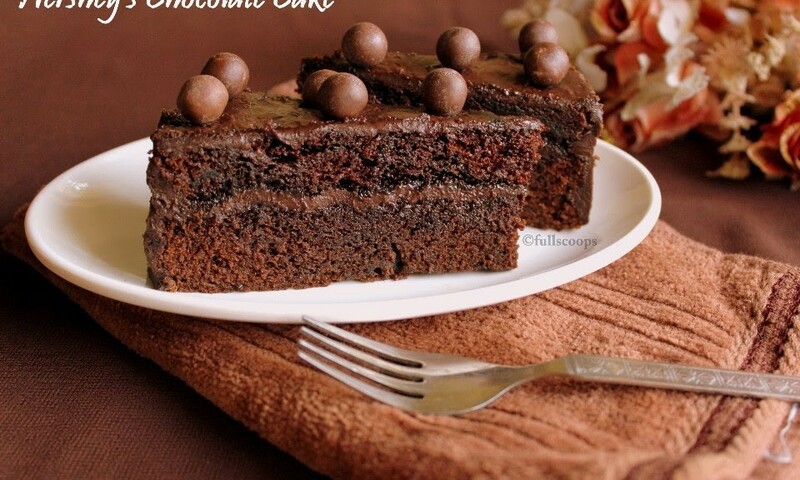 Frost with “PERFECTLY CHOCOLATE” CHOCOLATE FROSTING. 10 to 12 servings. Melt butter. Stir in cocoa. Alternately add powdered sugar and milk, beating to spreading consistency. Add small amount additional milk, if needed. Stir in vanilla. Makes about 2 cups frosting. ONE-PAN CAKE: Grease and flour 13x9x2-inch baking pan. Heat oven to 350 degrees farenheit. Pour batter into prepared pan. Bake 35 to 40 minutes. Cool completely. Frost. THREE LAYER CAKE: Grease and flour three 8-inch round baking pans. Heat oven to 350 degrees farenheit. Pour batter into prepared pans. Bake 30 to 35 minutes. Cool 10 minutes; remove from pans to wire racks. Cool completely. Frost. BUNDT CAKE: Grease and flour 12-cup Bundt pan. Heat oven to 350 degrees farenheit. Pour batter into prepared pan. Bake 50 to 55 minutes. Cool 15 minutes; remove from pan to wire rack. Cool completely. Frost. CUPCAKES: Line muffin cups (2-1/2 inches in diameter) with paper bake cups. Heat oven to 350 degrees farenheit. Fill cups 2/3 full with batter. Bake 22 to 25 minutes. Cool completely. Frost. About 30 cupcakes.